UGA's Science Learning Center will be dedicated Aug. 17. 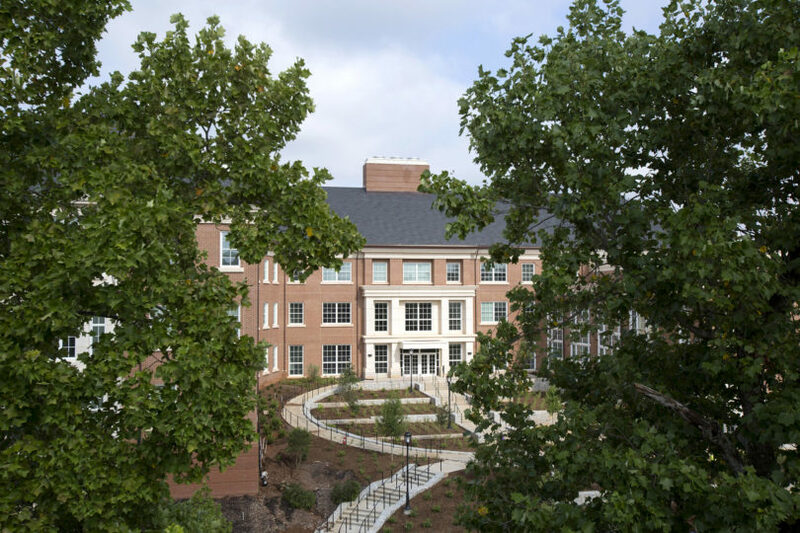 Athens, Ga. – The University of Georgia’s Science Learning Center is now open for student instruction. The three-story, 122,500-square-foot building was tailor-made for teaching undergraduate science, technology, engineering and mathematics with the goal of increasing the number of students who pursue careers in the STEM fields. The goal is for the building’s features-paired with effective instruction from UGA faculty-to enhance a strong foundation in the sciences. With updated instructional spaces able to facilitate the most effective STEM teaching methods, the SLC is geared toward retaining and recruiting more STEM majors. In 2015, nearly 21 percent of degrees awarded to undergraduates at UGA were in the STEM fields-an increase from 15.1 percent a decade earlier. • The labs-20 chemistry, 10 biology, two ecology and one physics-are designed to promote face-to-face interaction between students as they engage in hands-on learning. Located on the southwest corner of the D.W. Brooks Mall adjacent to Pharmacy South and across from the Miller Plant Sciences Building, the Science Learning Center houses numerous study areas for group projects and individual learning, as well as a café. In addition to the classroom space, the SLC will feature informal meeting rooms and study spaces that support learning and collaboration for all levels of students. Rooms for formal instruction will be used primarily for introductory courses in chemistry, physics, biological sciences and ecology. Parking for the ceremony will be available in the South Campus parking deck as well as the Carlton Street parking deck.